Searching for good Kanata dental clinics these days is difficult because there are so many different things to look for. Before, you simply needed to find a Kanata dentistry in your region, but nowadays you need to compare all of the Kanata dental clinics in order to see which one can offer the best rates, the best services and the best appointment dates. It’s a time consuming process that can become overwhelming if you aren’t so sure about the things that you should be looking for in a good Kanata dental clinic. 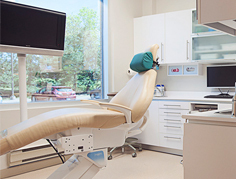 There are various things that will affect your decision making process and choosing the best Kanata dental clinic for you and your family is crucial. It’s important to establish a strong relationship between you and your dentist and that is hard to attain when you constantly switch between different clinics. One of the first things you should look for when searching for a quality Kanata dental clinic is whether or not they have superior braces technology. A Kanata dentistry that can offer you the latest clear braces such as Invisalign will most likely be a sign that they are staying up to date with the latest trends. This is important because it shows you that the dentists at that clinic are constantly moving forward with their practice and learning new dental care techniques. It’s important to find a Kanata dental clinic that has this type of advancement because it will allow you to stay up to date with all of the future advancements in the dental care industry. The second thing you should take a look at when trying to find the perfect Kanata dentistry is whether or not the dentists can provide you with emergency appointments. Although you may never need to make an emergency appointment, if you do ever need one you will want to make sure it’s available to you. Whether your teeth are infected or even if you’ve had one of your teeth knocked out, you will definitely want to make sure that you can deal with the issue at hand. Waiting several weeks could become extremely painful or even worsen the issue even further. This makes it highly important that you are capable of making same day or next day appointments with your Kanata dental clinic. Finally you should take a look at the waiting room. Sure, this is the least important thing that should affect your decision, but if the waiting room has hard plastic chairs and no toys for your kids, the wait could become unbearable. You want to find a Kanata dental clinic that is kid friendly if you have children because with toys in the waiting room, you will be able to keep your kids busy. Some of the better waiting rooms have television sets that really make the wait a lot more enjoyable and much less agonizing.